Kelly Ripa doesn't have time for social media trolls. The Live With Kelly and Ryan host clapped back at an Instagram user this weekend after the hater claimed she looked too old for her husband Mark Consuelos—even though they're both 47 years old. It all started when the Riverdale actor posted a picture of himself supporting the movement #HeForShe on Instagram. The TV host applauded her husband for promoting the gender equality initiative and wrote, "You make me proud @instasuelos." However, a troll tarnished the nice moment by commenting on the couple's looks. "@KellyRipa yes he is so handsome but you need to go Kelly you look to old for him," the social media user wrote, "sorry but you do." Ripa then fired back at the hater and pointed out the grammatical error. "You need to learn how to spell the word too sweetie. As in you're too stupid to be with my young, handsome husband," she clapped back. "Ps, he likes proper grammar as well you dope." However, Ripa wasn't the only one to receive a bit of hate in the comments section. After Consuelos posted the picture, another follower wrote, "I'm done following you." Still, the actor didn't back down. "You don't support equal pay for women?" Consuelos replied. "I think, by your profile pic that you are a woman. I assume you have a daughter or granddaughters? Do you think they should be paid equally?" This isn't the first time the couple has dealt with negativity on social media. The devoted spouse defended his wife after people body shamed Ripa for wearing a bikini. 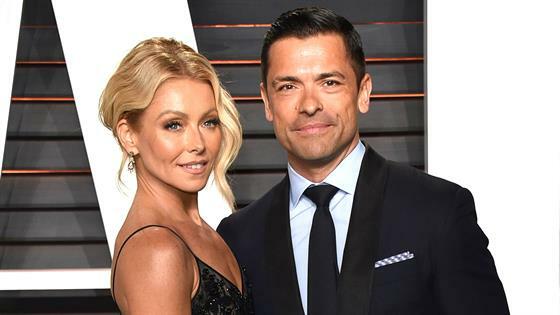 Ripa also set the record straight after a commenter suggested she had a nose job and clapped back at a user who wrote Consuelos "looks funny" because "he's short." "He's tall where it counts babe," she replied. Don't mess with this dynamic duo.